Last fall I was sitting in the hair salon turning the pages of a magazine and saw the prettiest wreath made of cotton bolls, sort of like this one (from the lovely and talented Layla at the Lettered Cottage). I thought, wow! That’s so creative! 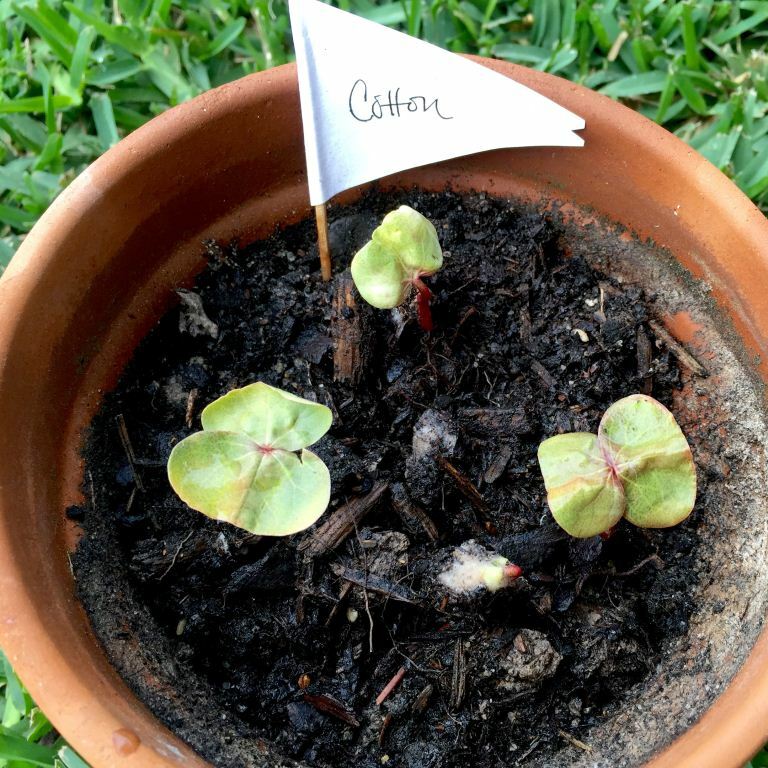 Consequently, I added cotton to the list when I started purchasing seeds to cultivate some my annuals and replenish the kitchen garden. I remember growing a few cotton plants when I was a young girl and they were pretty, compact plants with large attractive flowers. Of course it’s not so easy to just buy a package of standard cotton seeds since it’s an agricultural crop product. I had to get an ornamental variety. Even better. The dark red foliage will be the perfect complement for a few zinnias. I can never get enough zinnias. All of my seeds germinated quickly this year and will be ready to plant outdoors in just a few weeks. Later this summer we’ll certainly be enjoying some cotton bouquets around the house and this fall I’ll have my own homesweethomemade version of Layla’s cotton boll wreath. btw, it’s my birthday today and Cristybella is frosting a cake just now. It’s time to go taste a slice – yum! So glad to hear from Home Sweet Homemade! I’ve missed these bright spots in my week. 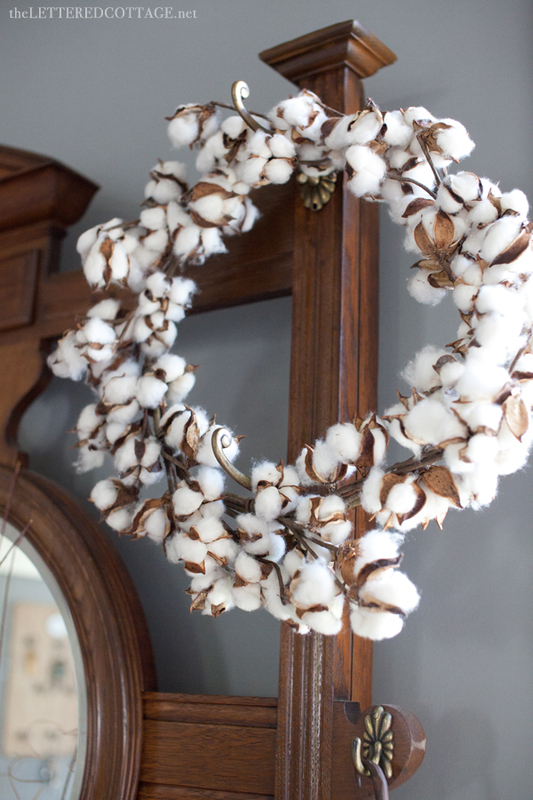 Love the cotton boll wreath; reminds me of my grandparents’ farm. Thank you!